Hours And Cost: Hours vary by season, check the UIAC website for details, including closings for special events. Admission is $6 per person, $4 on Thursdays. Non-swimming supervising adults will be charged a $3 fee. Parking is free! Description: The Urbana Indoor Aquatic Center is an indoor pool facility that features both a family pool and a pool for lap swimming. The family pool is a zero-depth pool, and boasts several water-play features including a giant water “mushroom,” two sets of sprinklers and two water slides. The lap pool is divided into lanes, and there is also an open swimming area and a diving board. Parents and other spectators can watch swimmers from a series of bleachers or from sitting areas located around the pools. Lifeguards are on duty at all times, and there is a family locker room, along with the traditional men’s and women’s changing areas. The facility offers birthday party packages. Amy’s Take: The UIAC has been a life-saver for our family. It’s out go-to way to stay healthy and active, all year long, and burn off the energy that a 6-year-old and a 2-year-old can generate. Because it is open year-round, we can swim just about any time we want. We’ve built it in to our family routine, and try to swim on as many Saturday afternoons as our schedule will allow. We go just before dinner (between 3:30 and 5 p.m.), when it is less crowded. Weekday swimming can be tough with the little ones during the fall and winter seasons, because the pool is closed while school is in session during the day. The evening hours can be a bit too late for the toddler set. UIAC is also a great place for private swimming lessons, and we had great luck coaxing our reluctant swimmer there into loving the water there (of course, we were also blessed with a great teacher). The pool can also get crowded during summer hours, because plenty of local camps take their charges there in large groups to swim. If you’re taking littles, you may want to call before you go, to see how many and when these groups will be using the pool. 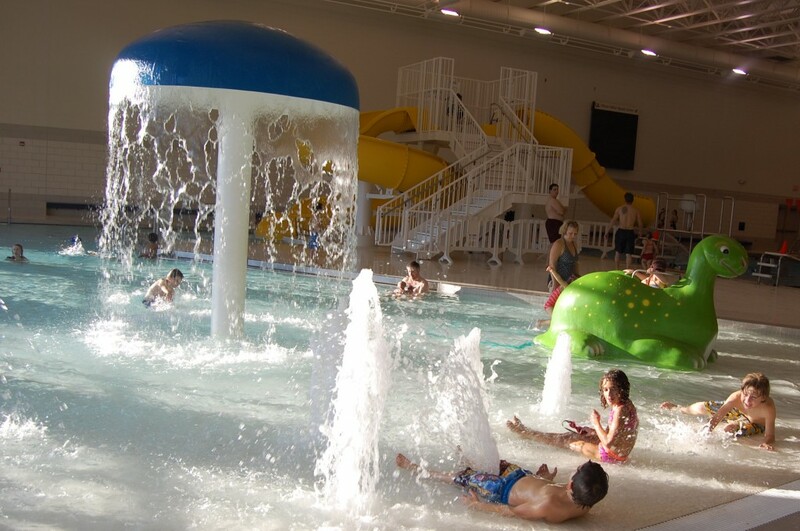 Tell us why you love the Urbana Indoor Aquatic Center!